Top-notch hotels with meeting space like the Cincinnati Marriott North at Union Centre, Centre Park of West Chester, and the Four Points by Sheraton. And 2,000 hotel rooms within close proximity of the highway! Butler County's selection of business and attractions provides choices perfect for meeting planners! Your pre-conference events, conference night events and spouse excursions can be exciting for all. With many different shopping opportunities, the best golf courses, wine tastings, art offerings and more, The BC is the perfect place to host your next meeting. 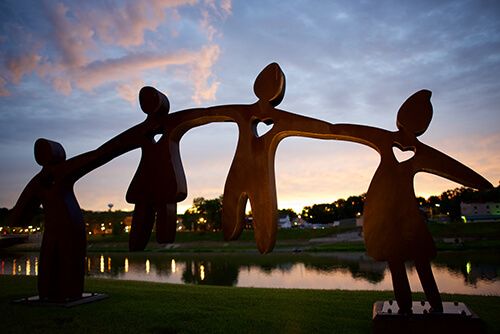 The Butler County Visitors Bureau will craft exceptional meetings and event experiences for you! Contact Margaret O'Gorman today at 513-860-4194 Ext. 111 or mogorman@gettothebc.com.